I've always been a big reader but in the past couple of years I've barely managed to finish anything I pick up. My attention span seemed to wane quickly or I'd spent the evening reading articles online rather than going to bed early with a book (a favourite activity of mine). When I lived in Glasgow I had a great book club and though I wasn't reading lots, I was at least managing one book a month. In February this year I joined another book club in London and since then all I've wanted to do is sneak away a billion times a day and read a few more pages. This pleases me greatly! Here are three books I've recently loved and highly recommend. 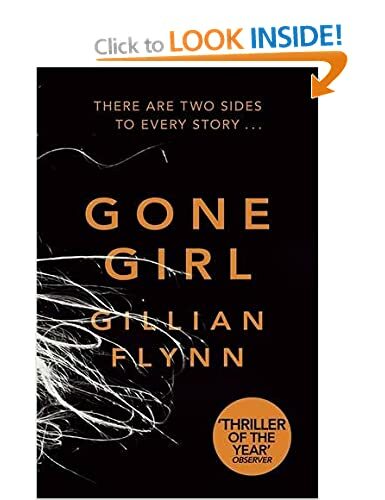 A genuine page-turner, I finished this book in two days and everyone I've spoken to has agreed it was a brilliant thriller. I love a mystery and the best thing about this book was how wildly my opinions of all the characters changed as it progressed. Definitely worth picking up! From Amazon: Nick and her cousin, Helena, have grown up sharing sultry summers at Tiger House, the glorious old family estate on the island of Martha’s Vineyard. As World War II ends they are on the cusp of adulthood, the world seeming to offer itself up to them. Helena is leaving for Hollywood and a new marriage, while Nick is to be reunited with her young husband Hughes, due to return from London and the war. Everything is about to change. Neither quite finds the life she had imagined, and as the years pass, the trips to Tiger House take on a new complexity. Then, on the brink of the 1960s, Nick’s daughter Daisy and Helena’s son Ed make a sinister discovery. It plunges the island’s bright heat into private shadow and sends a depth-charge to the heart of the family. Summer seemed to arrive at that moment, with its mysterious mixture of salt, cold flesh and fuel. 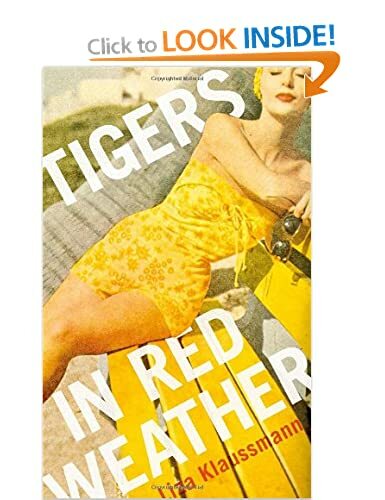 Magnificently told from five perspectives, Tigers in Red Weather is an unforgettable debut: a simmering novel of passion, betrayal and secret violence beneath a polished and fragile facade. This was an easy read and I loved how effortlessly the writing conjured up a feeling of Massachusetts in the 60's, I could almost taste the air the characters were wrestling with. I loved the way the story progressed with each person's story revealing new insight and I was fascinated by how Nick and Helena's friendship developed. It made me want to sit on a doorstep drinking gin from a jam jar. No bad thing! From Amazon: Seymour isn't cool, but he isn't a geek either. He's a lonely, obedient 8th grade loser at Glendale, a second tier prep school in Manhattan. His chubbiness has recently earned him the nick name "Chunk Style" and he has resigned himself to a life of isolation. All of this is about to change.After successfully getting himself expelled from every reputable school in the country, Elliot Allagash, the arrogant heir of America's largest fortune, finds himself marooned at Glendale. Try as he may, Elliot cannot get expelled this time; his father has donated too much money. Bitter and bored, Elliot decides to amuse himself by taking up a new hobby: transforming Seymour into the most popular student in school.An unlikely friendship develops between these two loners as Elliot introduces Seymour to new concepts, like power, sabotage and vengeance. With Elliot as his diabolical guide, Seymour gradually learns about all of the incredible things that money can buy, and the one or two things that it can't. 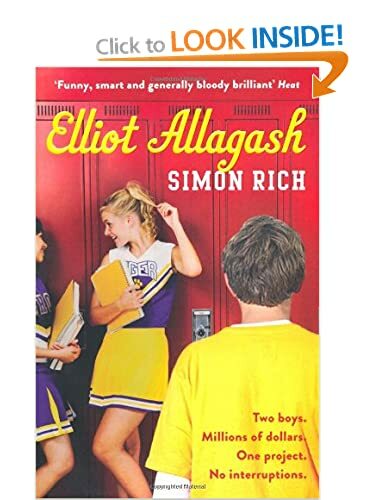 Hilarious, ingenious and tightly plotted, Elliot Allagash reminds you what your teens were like, and why growing up is so hard to do. We read this for Book Club in March and (almost) universally loved it. The front cover doesn't do the book justice but Simon Rich is one of my favourite writers around at the moment, having loved several pieces he's had published in The New Yorker. This is young adult fiction but it's incredibly smart, funny and sensitive. The book has been optioned for a movie so I eagerly await more news on that one. Oooh, you've got me rarther excited about some new books. Hoorah! Can't wait to hear what you think of them Elizabeth!